This traditional Colonial is nicely situated on a 2 acre wooded lot in the wonderful subdivision of Rolling Green. From the relaxing sunroom to the open foyer, this house is custom throughout. A coffered ceiling in the sunroom, custom built-ins in the family room and mud room, and a relaxing window seat are just a few examples of the beautiful millwork in this warm home. Along with the open floor plan, the gourmet kitchen with custom cabinets and granite countertops make family living and entertaining fun. The tiled “doggie shower” is perfect for keeping the family pets clean. The landscaping is plush and features a built-in swimming pool and hardscaping. The colorful bushes and plants, along with the privacy of the lot, make for a great personal oasis. Bella Home Builders is an award-winning, family owned custom home company that specializes in designing and building homes in the Capital Region and surrounding areas. For over 20 years, founder Dave DePaulo and his team have set the standard for building one-of-a-kind custom homes for individual clients. 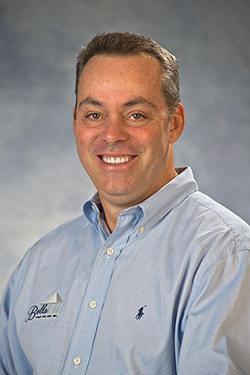 Dave DePaulo believes every client should have the information they need to make smart, informative decisions about the type of home they want to build for their family. Dave works with each client to establish expectations from the initial consultation and continues the company’s commitment to strong communication, excellence in customer service, and attention to details. Bella Home Builders offers a full array of services every homebuilder needs to completely design, build, and furnish their luxury custom home. A full team of design coordinators, interior/exterior designers, client coordinators, project managers, and quality control coordinators are available to work with each homeowner to customize their home to compliment their unique lifestyle and needs. Kitchen Design Firm: Builder’s Kitchens Inc.